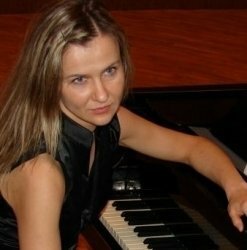 I am a qualified, enthusiastic pianist, teacher and vocal coach with a double Masters Degree and more than 10 years of experience of teaching both children and adults, beginners and advanced. I can teach you classical music but also jazz or pop rock. Apart from teaching my passion is public performance as a singer, conductor or pianist. I am skillful, devoted and likeable person with positive attitude towardsthe world and people. enthusiastic, professional approach to meet your expectations,based on your individual ability and level and in warm, patient, enjoyable teaching environment. BasiaFrom Neha (5/5): My son always looks happy after his piano lesson. I reckon he is really enjoying it. He feels motivated to practice at home, which means you have helped him to develop an interest. I hope he continues learning to play with enthusiasm. BasiaFrom Matt (5/5): Basia is a very good teacher, very patient, knowledgeable and easy to get along with. My confidence has grown since starting my tuition and I feel like I am making good progress. Would definitely recommend as a vocal tutor. BasiaFrom Glen (5/5): My piano skills have vastly improved in just a few piano lessons with Basia. Basia is a excellent, patient teacher who you can see loves imparting knowledge to her students. I would highly recommend Basia to anyone who wishes to start playing the piano or even those wanting to improve their skill set.